So much to consider for Bucs fans during this crossroads time with a big divsion game approaching on Sunday. 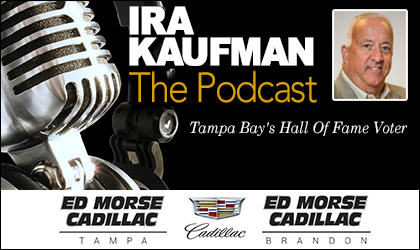 Ira joins Joe for the twice-weekly wrestling match presented by Ed Morse Cadillac Tampa and Ed Morse Cadillac Brandon. Could we talk former Cardinals coach Bruce Charles Arians out of retirement? He’s healthy now and at 66 is 6 months younger than Bill Belichick. Just want everybody to know that I’m down wit old timers! Lol. The Bucs need an experienced coach that has been there and done that. Everywhere he’s gone he’s been able to turn that team around. NFL record as head coach is 50-32-1 (.608). He has proven expertise developing QBs – Peyton Manning, Ben Roethlisberger, Andrew Luck, and Carson Palmer. He is NFL two-time Coach of the Year (2012, 2014) and knows both offense and defense. He talked to Ian Rapoport and said Cleveland is the only team he would consider coming out of retirement for. The Browns leading candidate is now Rams QB coach Zac Taylor, but the Jets fans are screaming for him to replace HC Todd Bowles. Bucs need to get in the mix now and try to get this guy to Tampa. Great weather, no income tax and total control (wink,wink) could win him over. Besides, who knows he may be able to talk CB Patrick Peterson into joining him at the Bucs. 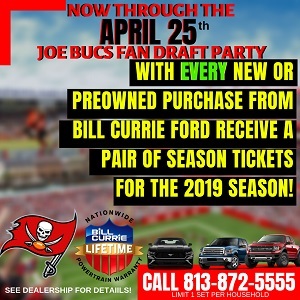 Go get’m Bucs! Arians is interesting. We’ll see if he is just using the Browns as leverage.